Logistics? These folks have it all in hand! 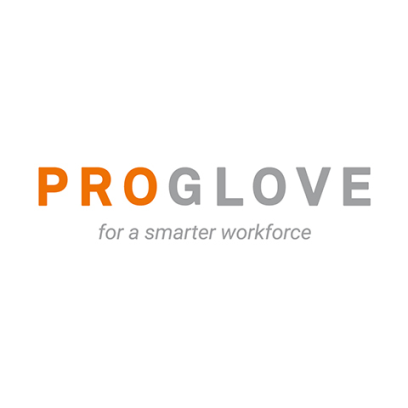 ProGlove is a startup specializing in industrial wearables, and it's using the global reach of HANNOVER MESSE 2019 to showcase its latest hands-free scanners. These intelligent barcode scanners are already proving their worth in numerous industrial companies. The intelligent barcode scanners from this Munich startup are set to boost efficiency practically anywhere where staff - up till now - have had to use conventional scanner guns. Thanks to smart ProGlove technology, users should be able to save up to four seconds on every scan. That makes a big difference in industrial environments, where workers have to repeatedly reach (or search) for scanners to acknowledge jobs, document steps or dispatch packages, and scan several thousand codes a day. As its name suggests, ProGlove is worn on a glove or cuff and can be actuated with the greatest of ease. According to the developers, ProGlove's wearables are the smallest and lightest scanners in the world and can help reduce the amount of weight an employee has to lift during each shift by up to 1.5 metric tons. What’s more, up to 33 percent of common errors can be avoided, thanks to functions such as worker feedback. ProGlove is part of a showcase being staged at HANNOVER MESSE 2019 by Capgemini that is training the spotlight on the improvements smart gloves can help deliver in the logistics chain of a production facility. ProGlove is exhibiting two solutions - the MARK One S intelligent wearable scanner for standard-range applications and its younger brother, the MARK 2, for mid-range applications. Reportedly, more than 300 customers are currently using industrial wearables from ProGlove, including big names such as KUKA, Bosch, Festo and thyssenkrupp. Andreas König, CEO of ProGlove, offers his own view on what the future holds for industrial wearables: “Public debate is currently centered on artificial intelligence and robotics, and we feel too much attention is being focused on machines, deep learning and sensors. Unfortunately, in many cases people are being forgotten. However, we don't think it's realistic to expect that fully automated factories will be up and running in the foreseeable future. That's why we are using our technology to reinforce the role played by people. In fact, we are certain that industrial wearables are going to be the next 'big thing', and we think Germany and Central Europe should - and will - take on a leading role in developing that technology."